The Broncolor Continuous Light HMI F1600 is a "flicker-free" lamp designed for both photography and videography. Alongside their new Siros portable flash system, Swiss manufacturer Broncolor has also announced the Continuous Light HMI F1600, a “flicker-free” lamp designed for both photography and videography. 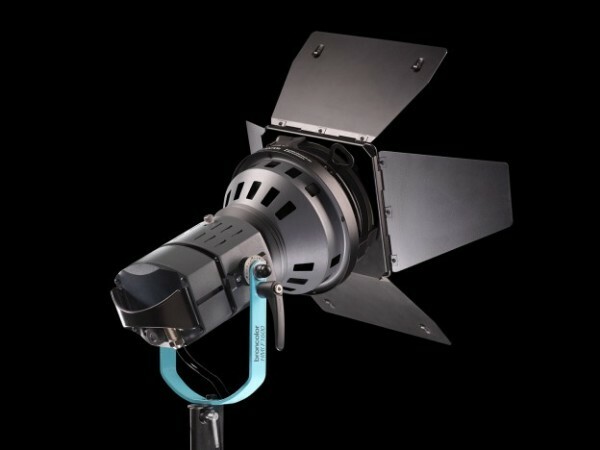 It adds to Broncolor’s existing line of HMI light sources. The F1600 has a special accessory mount to fit a wide range of different modifiers. It is dimmable and focusable and said to be suitable for high-speed photography, thanks to its consistent daylight output. The lamp will ship in January 2015. Visit the Broncolor web site for more information, or go to stand I040, Hall 4.1 at Photokina this week. Sorry for any distress caused by the sub-par pun in the headline.